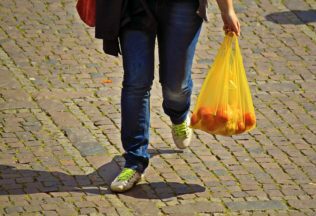 The Victorian State Government has announced it is banning single-use lightweight plastic shopping bags in Victoria. A date for the ban is yet to be announced with business and community consultation on how best to implement the ban occurring first. In a statement, the Victorian Labor Government said bans in other states and territories had resulted in “undesirable results” including increased use of heavier duty plastics and it wishes to consult with different parties so a workable scheme can be created. Victorian State Minister for Energy, Environment and Climate Change, Lily D’Ambrosio, said banning single-use plastic bags will slash waste, reduce litter and help protect marine life. “We will work closely with Victorian communities and businesses to design the ban, we’re proud that we’re doing our bit to reduce the impact plastic bags have on our environment,” MP D’Ambrosio said. The 2017/18 Victorian Budget allowed AUD $30.4 million over four years to fund ways that improve management of waste and the recovery of resources. Victoria’s plastic bag ban follows on from Queensland’s decision to do the same in November 2017.